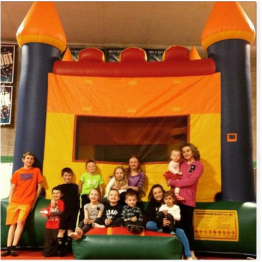 Whether you are looking to host a practice, receive customized team & private instruction or host a fun filled birthday party, Buffalo Envy has exactly what you're looking for. Buffalo Envy offers facility rentals and instruction to anyone that is looking for a space to train their cheerleading teams. Whether you are a high school, recreational little loop, college or out of town organization looking to host a practice, or receive instruction, we have exactly what you're looking for. From basic floor rentals hosting your own practice to customized classes and camps, we can help with all of your cheerleading needs. To be more than just average you need to train hard. Let us help you with all of your training needs. Buffalo Envy offers Birthday Rentals. Customize your child's next birthday party in our 10,000 square foot cheerleading training facility. With trampolines, spring floors, tumble track and a bounce house (additional charge). $135 for 1.5 hrs 13 - 24 kids $30 extra for an additional .5 hr.